Scientists from Heriot-Watt University together with Dundee-based Iron Ocean and the Oil and Gas Innovation Centre (OGIC) have designed and developed Centurion 3 - an offshore survival system. The scientists developed innovative smart materials which were incorporated into Centurion 3 offshore survival garments that withstand even the harshest conditions. 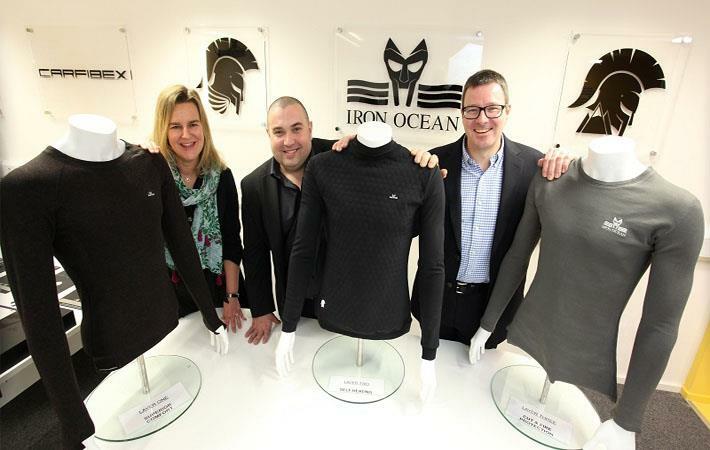 In the project Iron Ocean worked with Heriot-Watt University’s schools of Engineering and Physical Sciences and Textiles and Design. The three-layer upper body garment produces heat when immersed in cold water and is designed to be worn under the traditional offshore survival suit. And the garment gives the wearer increased mobility and protection as current garments worn under the survival suit do not provide active heating. “This is just the start of the possibilities that are out there in terms of the health and safety of our oil and gas workforce,” Bucknall added. “With all of our prototype garments now complete, the next step for us is to introduce the Centurion 3 to market so it can begin saving lives offshore. There is also great potential to bring this innovative technology to other industries including leisure, military and maritime to improve safety in harsh environments,” Lamont added.